VANCOUVER - British Columbia's tourism industry is outpacing provincial economic growth, contributing $9 billion to the economy. Destination BC, the Crown corporation that co-ordinates tourism marketing, released the latest figure from 2017, saying it's a 6.7 per cent increase over the year before. 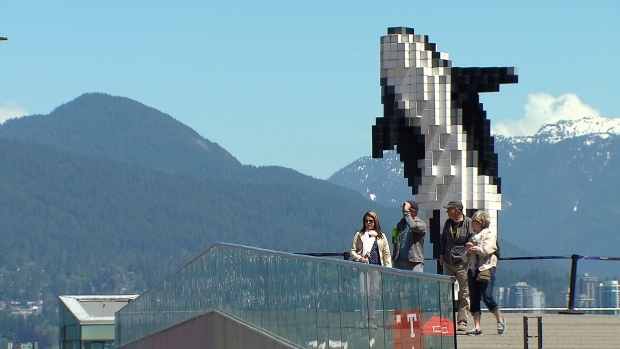 The figures were released at the Tourism Industry Association of BC conference in Vancouver at the same time as the ministry announced a new strategic framework that it says will guide year-round tourism growth while protecting the province's natural environment. Walt Judas, CEO of the Tourism Industry Association of B.C., says the framework will allow the industry to reach its full potential as one of the province's leading business sectors. “The province's new strategic framework for tourism provides a blueprint for both the growth and sustainability of B.C. 's visitor economy for the foreseeable future,” he says in the release. Is B.C. 's shifted Family Day pushing locals off the ski hills? 'Loved to death': Should B.C. parks require hiking reservations?